IoF2020 use case on Quality Certification Systems is making progress. The use case developed a standardised software to facilitate transparency in agriculture and boost efficiency by connecting each factor along the supply chain. By using digital tools for certification, they not only reduce the use of paper but also make the entire certification process faster and more efficient. Quality Certification Systems are in fact needed to enhance trust and provide a standardized approach, protecting the quality of EU products while being less vulnerable to fraud. This is achieved by the use of IoT technologies such as sensors, RFID tags and intelligent chain analyses, providing proof of origin and production method to certification bodies. One of the main challenges of this use case is to adapt to the varying sizes of wineries, regional differences and production methods of the testing sites. 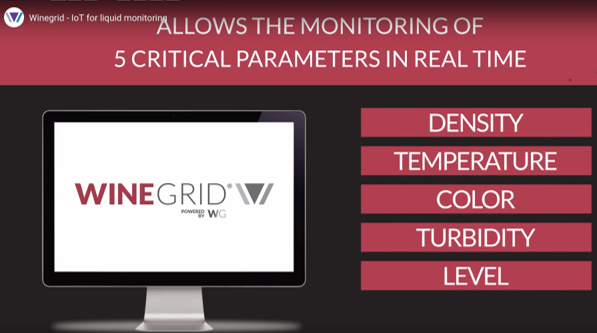 To address those challenges, specific sensors from WINEGRID, using LoRa or Wi-Fi connection, have been deployed on each testing site across Italy.